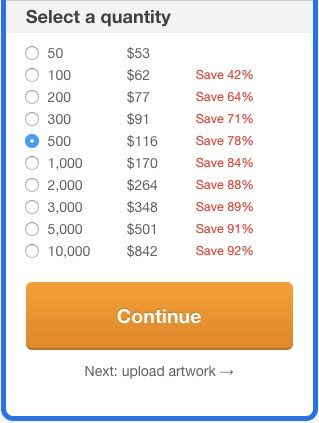 Sticker Mule automatically calculates savings for you based on the total size of your order. The larger your order, the larger your discount. We do not provide additional coupons or manual discounts. This allows us to give fair pricing to all of our customers and provide the best customer service and product possible. Additionally, we provide discounts for orders with multiple designs.